Researchers at Duke University had a very busy 2017, contributing some of the years most important and notable research findings. These findings include how quantum encryption could help build a more secure Internet, that the human brain isn’t alone in using a lot of energy, and that increased brain activity in problem-solving areas protects against anxiety. Quantum computers take advantage of unique quantum mechanical phenomena to carry out tasks much more quickly and efficiently than regular computers. Whereas current computers use a binary system that requires every bit to be in one of two states, zero or one, quantum bits can be in a number of different states at the same time, allowing for both more powerful encryption and a more powerful hacking. Computer scientists around the world are worried that even the most robust internet security codes and methods at our disposal will be proven useless thanks to the power of quantum computers. To try and future proof the internet against attacks by hackers using quantum computers, researchers at Duke University, along with researchers from Ohio State University and Oak Ridge National, Laboratory are working to develop quantum encryption techniques to secure our data. One of the methods under study is referred to as a quantum key distribution. Currently, encrypted data looks like gibberish to anyone trying to see what it is without the correct encryption cipher. When information is sent through the web, it is encrypted at its origin and then decrypted at its destination, with the same cipher or key. This means that sender and receiver must have access to the key, which must be kept secure from hackers. Due to the way quantum mechanics works, measuring or observing particles changes their properties. This means that a quantum key distribution system could function in a way that would alert both sender and receiver to any unauthorized access to the data. The only problem with this method is that current quantum key distribution is very slow, and the researchers at Duke tackled this challenge by enabling streaming photons to carry two bits of information at a time instead of just one. These means that their system can currently transfer keys approximately 5 to 10 times faster than other methods of transference. The research team is still honing their techniques to try and achieve faster results. Researchers at Duke recently utilized noninvasive brain imaging techniques to discover a potential new therapy for those who suffer from extreme anxiety. Specifically, increasing activity in brain regions associated with problem-solving may help reduce anxiety levels. The researchers from Duke examined the brains of 120 undergraduate students while they completed tasks meant to engage the reasoning and problem-solving areas of the brain. The researchers found that among subjects who were at risk for anxiety, those who had higher brain activity in regions linked to problem-solving and reasoning were less likely to develop anxiety-related symptoms. The dorsolateral prefrontal cortex is responsible for planning complex actions, focusing our attention, and regulating our emotions. Cognitive behavioral therapy often aims to supply patients with strategies to reframe their negative emotions, and the new research may help therapists tailor specific psychotherapy strategies to certain individuals. Current treatments for heart attacks revolve around reducing the severity of symptoms that result from the damage done to the heart because heart muscles are not able to regenerate once damaged. Yet medical engineers from Duke University have managed to synthesize a patch of functioning artificial heart muscle capable of being applied to a damaged heart. Scientists have been able to create individual heart muscle cells for a while now, but it was a challenge to scale cell production up to a size that enabled therapeutic applications. The Duke University team employed a new technique which involves growing the cells from human pluripotent stem cells, enabling the production of much larger samples of the heart muscle. This technique can successfully produce various types of heart cells, including the cells necessary for building a structural framework, blood cells, and the cells that contract the heart. Various strategies are employed to create different types of cells and to encourage them to grow. The researchers from Duke have successfully implanted the cardiac muscle into mice and rats, though for the heart patch to function in a human heart, it would need to be much thicker than the tissue sample involved in the Duke study. The research team is continuing to work on advancing their techniques, and are now aiming to apply the patch to pig hearts. spending less money to fight the disease. For every 10% increase in the funding, the US devotes to the treatment of a specific disease, there is associated 1% the 3% reduction in spending on the disease by other countries. Tropical diseases are responsible for the deaths of thousands of people every year, yet treatments for these diseases aren’t pursued because they tend to afflict impoverished areas disproportionately, meaning their treatments are not profitable. This means that investing funds into the development of treatments for tropical diseases is one of the most effective ways that the US can improve global health. The US investing money in the treatment of high-profile and global diseases would allow governments of other countries to focus more on the treatment of local diseases. For instance, the US investing more in the treatment of HIV/AIDS would allow Brazil to invest more money pursuing treatments for dengue, a mosquito-based disease that can easily kill people. Though the prevailing wisdom has been that the large brain of humans (relative to our body size) demands more energy than almost any other animal, a recent study by Duke University scientists suggests that humans aren’t so unique when it comes to the energy demands of the brain. The researchers from Duke examined how much energy the brains of 22 different species of animals used, and then compared this level of energy consumption to humans. The finding was that the calorie demands of the human brain aren’t uniquely high, which challenges a longstanding belief about the human brain and human evolution. The researchers analyzed the skull of 22 different species including squirrels, monkeys, rats, and mice and then did estimates of levels of brain glucose uptake for these different species. Species that have larger canals enclosing the cranial arteries need more glucose delivered to the brain by the blood supply. Calculations were then done for 15 more species of animals including treeshrews, monkeys, and lemurs. In the final analysis, there wasn’t a major difference between the percentage of energy utilized by the brain for both humans and other animals studied like ringtail lemurs. Duke University researchers experimented with bonobos born in the wild at the Lola ya Bonobo sanctuary and discovered that the bonobos would help fellow bonobos get food unprompted, even when the other bonobos were total strangers. The researchers placed two bonobos in an enclosure, with one bonobo in a cage and one that could roam free. A piece of food was suspended above the cage, just out of the reach, but it could be dropped into the cage if the free bonobo adjusted a wooden pin suspending it. The study found that bonobos walking around the enclosure would drop the suspended fruit approximately four times more often when there was another bonobo in the cage. It didn’t matter if the other bonobo was unfamiliar to them. It also didn’t matter if the bonobo in the cage gestured for help or not, the free bonobos offered help just the same. The empathy that was displayed towards one another was tested in another experiment where the researchers played videos of yawning bonobos to a group of 21 bonobo test subjects. The test subject bonobos displayed contagious yawning regardless of whether or not the yawning bonobo in the video was familiar to them, or a stranger. Microplastics are tiny pieces of plastic, typically less than 5 mm in diameter, which are ubiquitous in the ocean. They have even been found in the stomachs of sea creature living at the ocean’s deepest depths. One of the reasons that some marine animals, like coral, eat tiny bits of plastic debris is that it resembles natural prey. Yet researchers from Duke University have identified another possible reason that coral ingest plastic, it tastes good to them. The researchers ran an experiment where they fed coral different types of plastics, including plastics that were covered in bacteria and plastics that were clean. The coral preferred to eat the fresh plastic more than the plastic covered in bacteria, which suggests that something within the makeup of the plastic itself is attractive to them. 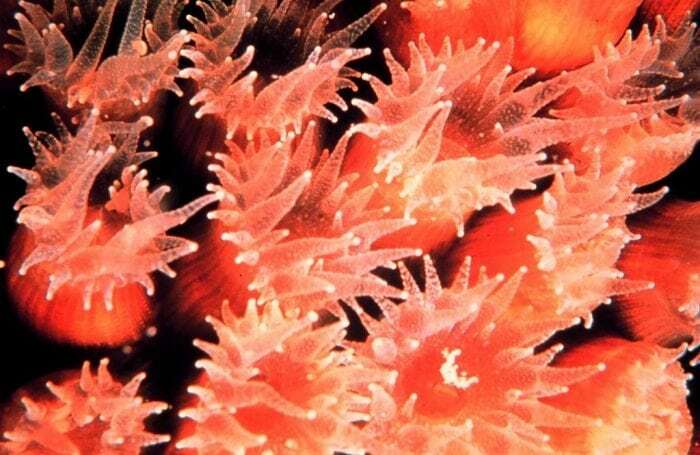 When plastics are produced in the factory, they contain many different chemical additives, and it is possible that a number of different additives or combinations of these additives could be appealing to coral. More research will have to be done to confirm this hypothesis, but the researchers are hoping that if their hypothesis is correct and something about the chemical makeup of the plastic makes it tasty to coral, it might be possible to engineer plastics which tastes bad to marine animals as well. Those are some of Duke University’s most notable research projects from 2017. 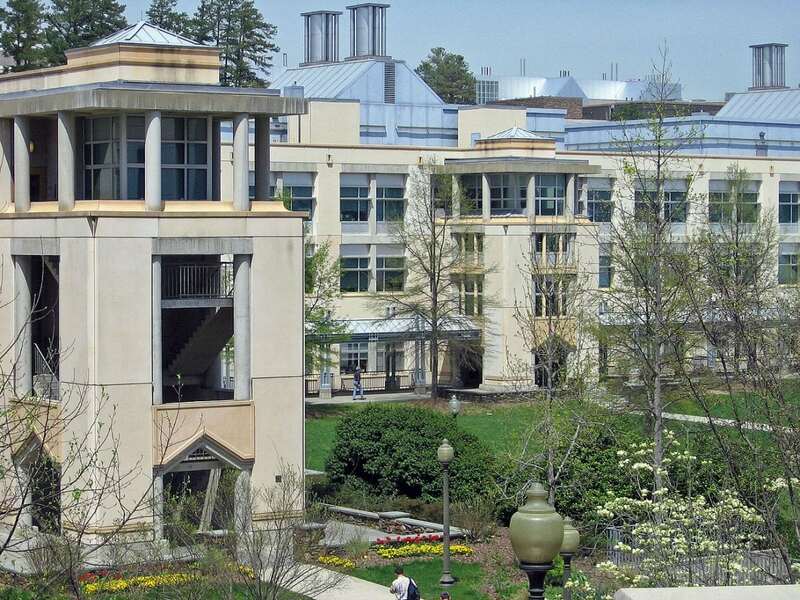 We look forward to seeing what influential and important research Duke University publishes this year.